Whether you’re missing one tooth or five, it can have a real impact on how you feel when you smile. Instead of hiding behind closed lips, restore your smile with crowns and bridges at Weishaar & Weber Dentistry. Dr. Anthony Weber, Dr. Sue Weishaar, and Dr. Lori Weber complete your smile with fixed prosthetic dental devices, improving how you look, feel, and even chew. If you live in or near Spokane Valley, Washington, call Weishaar & Weber Dentistry today to schedule your appointment or book online. Who needs crowns or bridges? If you have missing teeth, your dentist may suggest a bridge, which covers the area over one or more missing teeth. They secure the bridge by cementing it to your natural teeth and covering it with a crown. Crowns and bridges are both used to stabilize natural teeth, which tend to move when a neighboring tooth is missing. This shift causes teeth to become misaligned and can impact your bite. When you need a crown or bridge, your dentist must first prepare the area. For crowns, the dentist removes much of your tooth’s outer layer and takes an impression that’s used to fashion your permanent crown. Your provider then places a temporary crown. At a second appointment, your dentist removes the temporary crown and cleans your tooth. They may etch the tooth, so it better adheres to the crown. They apply cement and then place a crown on the tooth. Your dentist may use a special light to activate the cement and cure the bond. When it comes to bridges, which replace missing teeth, your dentist anchors the prosthetic device to either your natural teeth or an implant at each end of the empty span. Called abutments, these anchors are then cemented to the artificial replacement teeth and crowned. With proper care, your crowns and bridges can last a lifetime. Practicing good oral hygiene is the number one way to protect your prosthetics, including brushing twice a day, flossing once a day, and having routine teeth cleanings by a professional. Avoid chewing on hard foods, ice, and things like pen caps, which can jar your fixed oral devices. If you notice that your crown or bridge loosens or falls out, contact your dentist right away. 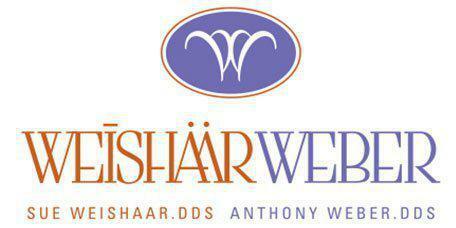 When missing or damaged teeth stop your smile from shining, find a solution at Weishaar & Weber Dentistry. Call today to schedule your initial consultation or book your appointment online.